I crashed. I whined. You supported. You chastised. I rolled my eyes. You rolled your eyes. Now the adult me is in charge of the little rebellious, unrestrained, unreined me. 1. One is a statement that Mary Beth Stevens' friend put on his Facebook page a long time ago and I stole. He said "I am the only person who puts food in my mouth." I really like that because I frequently find myself looking for someone else to blame. If I have to take responsibility -- well, maybe I'll rethink it. I like that. I'm trying to burn it into my brain. 3. And the third thing I'm trying to think about and focus on is a children's book that I use in therapy. It's written for young elementary students but I recently read it to some middle schoolers. 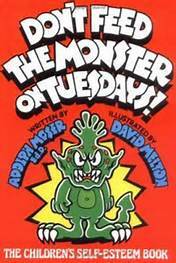 It's called Don't Feed The Monster On Tuesday and it's about self esteem. It talks about how everyone has a little tiny monster on the inside - pretty much the same thing as when I talk about Little Jenny. We feed the monster by what we say to ourselves - and by what we allow other people to say to us or how we let them make us feel. As the monster grows, it gets more and more hungry and we feed it by telling ourselves more and more horrible things about ourselves. It's a dance I've done all my life. 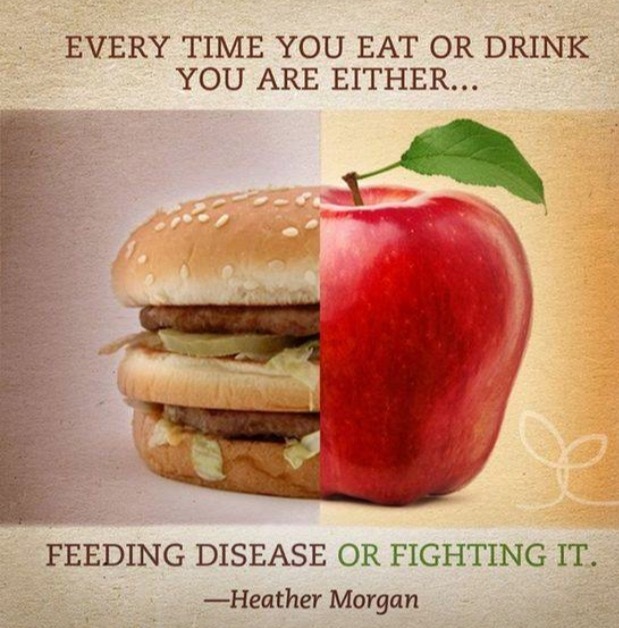 And, in my case, I feed the monster REAL FOOD! So, I've been telling myself "don't feed the monster". Anyway, I'm better. And in control. I don't want to blog. I especially don't want to write any more about weight loss. I don't want to be the kind of person that needs to write about weight loss. But...... I'm not LOSING weight. I'm GAINING weight. I lost my motivation at Thanksgiving and I still can't get it back. I HATE it. And it makes me hate myself. So, I have to blog. This is really the only thing I've ever done that has held me accountable. I have to start blogging again. If I don't do something tangible to help me focus on a solution, I just go back into denial that there is a problem. Usually, I want to be so transparent. I want to shout out to the world what I weigh, what I struggle with, what I hide under my mask. But right now - for some reason - my self esteem is so low that I feel like I can't show you who I am. That's very weird for me. On Thanksgiving, I weighed 209. Yep, for you who are new to my world, I know it's big but it's really not big in Jennyland where I once weighed 250. See? Ugh. I write that number and I can feel the weight of self-hate sitting on my chest. There was something about having gall bladder surgery, B falling in my driveway, breaking her hip and not being able to play with me, two weeks worth of jury duty - and no telling what else - that just got me TOTALLY off the nice little conscious eating path that I was on. And that I was actually finding it EASY to be on! This morning - after a week in Texas where I did my infamous Texas-style eating - I weighed 221.5. But what is even more ugh-ish is that I pigged out today. But I think this is the thing that really threw me over the edge - finding myself in this thinking process. I ate a burrito for breakfast instead of my yogurt. I ate some candy - lots of sour candies. I ate a cheese quesadilla for lunch (I wasn't hungry AT ALL). I ate some of the wonderful homemade things that Lauri made for me to give to the testing teachers. I left work soooooooooooo tired (and sugar stoned), but I wanted to go to El Parasol and get a green chili cheeseburger with fries BECAUSE I HAD FUCKED UP ON MY EATING ALL DAY! It's that thinking that I HATE!!!!!!!!!!! It's like "let me punish myself with food because I punished myself with food because I punished myself with food". Or like "I hate me because I overate so I'm going to overeat." It's such a sick thinking process that I can't even get my head around it. All I know is that I need to be accountable. To you. To me. If I know that I'm going to "have to report", I tend to make better choices. So, please read this. You don't have to comment. Just watch me. Hold me accountable. I know for some of my friends, that brings out the chastising mother that I feel rebellious towards. I don't need you to be a chastising mother. I am chastising myself enough. More than enough. Just keep your eye on me. Make me accountable. Little Jenny in the flesh.